ZIFON iGo is a new panoramic tripod head for GoPro Hero 3, 4, 5 or 6. It requires 12 shots, and the resulting stitched photo will have a resolution of 72mp. 360 cameras are convenient for capturing 360 photos. However, their resolution is usually not very high, and they are often susceptible to varying degrees of parallax stitching error. By contrast, traditional panoramic photography with a panoramic tripod head enables high resolution 360 photos with no parallax stitching error. However, panoramic heads for DSLRs and mirrorless cameras are usually kind of pricey and some can cost a few hundred dollars. They also take some technical knowledge to use. One compromise is to use a panoramic head for GoPro. Because the panoramic head is specifically designed for GoPro, it has already been positioned to shoot from the nodal point, i.e., the no-parallax point of the GoPro’s lens. One new panoramic head for GoPro is the Zifon iGO. 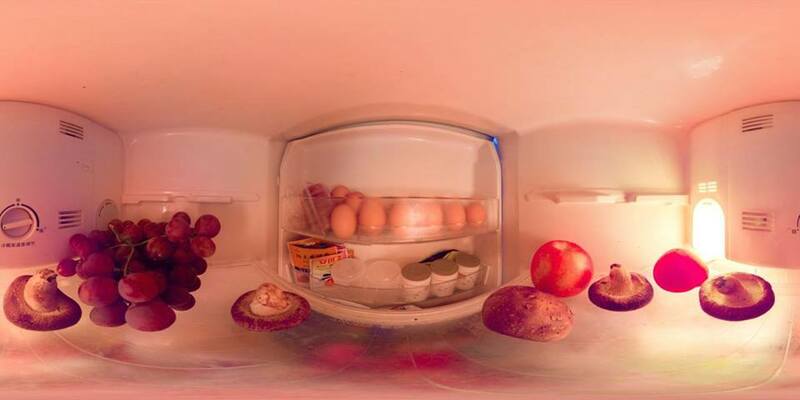 You can see that there is no stitching error even if the food are very near the camera. 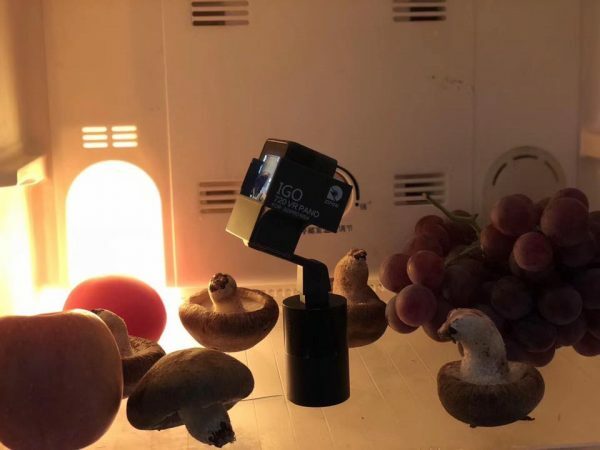 iGo competes with Panohero H5B and Pano5+1 mk II panoramic heads for GoPro, both of which take 65mp 360 photos with 8 shots. 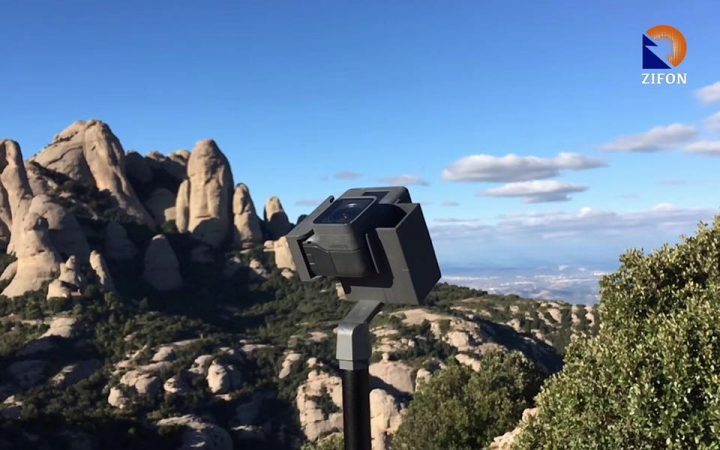 Panohero Classic is another GoPro panoramic head and takes 72mp 360 photos with 6 shots. Thank you for using these links to support 360 Rumors at no additional cost to you so I can do more tests and reviews. have you tried this rig for yourself? If not, are you planning to do so? I have read other articles written by you considering the Pano 5+1 Mark Ii and Panohero. I found these articles very useful because you posted some samples. I am thinking of buying one of them, but one supports Gopro 6 black (Zifon iGo) and another does not (Pano 5+1 Mark II). Am not talking about the Panohero as you mentioned that you had some stitching errors / stitching process was more complicated. Hi Mindaugas. Yes they are sending me a sample and I’ll compare them all. Re Panohero, I only had stitching errors with the Panohero Classic using a Yi. Panohero H5B with GoPro is perfect. Ok. So if you used the GoPro instead of the Yi – it explains a lot. Especially that these rigs are made form GoPro at first. Looking forward to reading the comparison article. Hi yes I will post a fair review and I will talk about the minimum equipment for stitching. Hello Mic, did you have the chance to try the Zifon iGo? I have it, but i’m ashamed to say i havent tried it yet… just soooooooooooo busy….! Yes i think that would be a great idea! A couple of years ago, a company was planning to do that but for some reason they abandoned their plans. Anyway fwiw i will be getting the nodal ninja mecha very soon and will post samples.